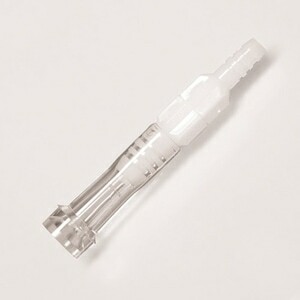 This white vinyl oxygen supply tubing does not include endcaps. 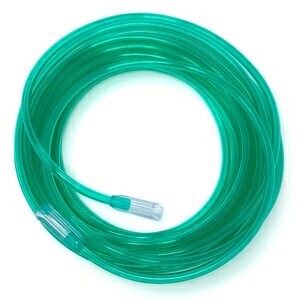 The flexible tubing is designed to slide securely onto the standard outlet barbs found on most concentrators including those from SeQual, Inogen, Respironics, Invacare, and others. 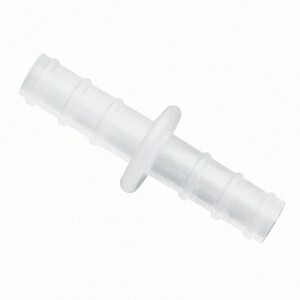 USAGE: This tubing may be to shorter lengths as required. In most cases oxygen tubing setups should not be extended past 50-feet. 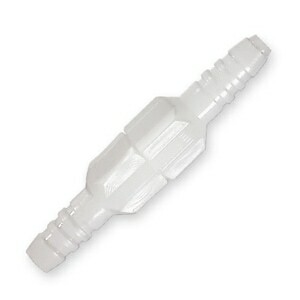 To attach an oxygen cannula to this tubing a Standard Oxygen Supply Connector (Part 1420) is generally required.